When it comes to addiction, or substance use disorders of any kind, there are often more questions than answers. Researchers can analyze data to develop an understanding of how many people are in the grips of progressive mental illness, yet they can only theorize the reasons why use rates go up or down in many cases. There is a plethora of factors to consider when trying to present a clear picture of alcohol and substance abuse in America, and the causes for spikes and drops in particular behaviors. In the addiction treatment field, most discussions center on opioid use disorder these days, the reasons for this should go without saying. Every American has witnessed the salvo of news reports about elevated overdose death rates and the rise of deadly synthetic opioids. Mainstream media outlets regularly point out the difficulties that people face when attempting to access addiction treatment, especially in rural America. The situation is nothing short of dire and hopefully the epidemic will, one day, abate. Opioids may be the most critical crisis of our times, but it’s probably fair to say that alcohol and the damage it causes will always be the most severe substance use dilemma. Far more Americans perish from alcohol-related causes every year than from opioid use. Prescription opioids and heroin are responsible for the most overdoses, but the long-term effects of alcohol use are far more sinister. It’s fair to say that in the realm of substance abuse: alcohol will always be the number one offender. Beer, wine, and liquor are legal to use by anybody over the age of 21; unfortunately, some people’s use is problematic, resulting in adverse effects to one’s health. Heavy consumption can bring about alcohol poisoning; down the road, the practice can lead to pancreatitis, cirrhosis of the liver, and several other life-threatening health conditions. Those who use alcohol daily are at significant risk of developing dependence and alcohol use disorder (AUD). Even if one escapes the health concerns above, research shows that many forms of cancers result from alcohol use. Suffice it to say, not much good results from imbibing, those who stay away from the substance or use it moderately avoid a host of potentially fatal conditions. In the United States, we need to be better about spreading the message that "legal" doesn’t equal "safe." Disseminating science-based information about alcohol use will save lives, and it needs to happen now, considering recent findings. A new analysis of nationally representative data shows that between 2006 and 2014 alcohol-related emergency room visits rose 61 percent, according to NPR. Study authors analyzed information from around 30 million visits to U.S. hospital-based emergency departments annually, from 945 hospitals in 33 states and Washington, D.C. The findings are in the journal Alcoholism: Clinical and Experimental Research. The research team, many of whom work at the National Institute on Alcohol Abuse and Alcoholism (NIAAA), found that drinking trends among women are concerning. More females are needing to go to the E.R. for alcohol-related health conditions, NPR reports. 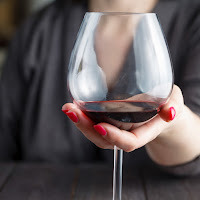 The findings indicate that women are gaining on men when it comes to overall alcohol use, as well as binge drinking, drunk driving, and cirrhosis. "The lowest hanging fruit in terms of hypotheses is that there must be an increase in risky drinking in some people," says study lead author Aaron White. "Even though that is not showing up in increases in overall per capita consumption, it's enough to drive the increase in alcohol-related emergency department visits." If you or a loved one’s drinking has caused adverse health effects, there is a good chance a problem exists. Alcohol use disorder, left untreated, almost always results in serious health problems and premature death, ultimately. At Hope By The Sea, we can assist you in beginning the life-changing journey of addiction recovery. Please contact us today.